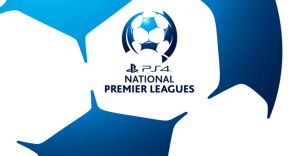 In the Match of the Round for Round 11 of the PS4 NNSW National Premier League, Broadmeadow Magic host Edgeworth Eagles in a clash between two sides on a high after both qualified for the FFA Cup Round of 32 last weekend. Broadmeadow have been in poor form in the NPL, losing their last three matches, failing to score in their last two. They found some form in the FFA Cup however, scoring twenty goals across the two matches last weekend, defeating South Armidale and West Wallsend 7-1 and 13-0 respectively, progressing through to the Round of 32. They will be looking to use this momentum to get their first NPL win in over a month, however they face an extremely confident outfit, Edgeworth Eagles, who join them in the FFA Cup Round of 32. The Eagles have won four of their last five NPL matches and cruised through the FFA Cup Qualifying weekend with a 4-0 win over Coffs City then a 3-0 victory of fellow NPL side Adamstown Rosebud. The sides will learn their fate in the Round of 32 next Wednesday afternoon as the draw will be held live on Fox Sports. Magic enter Round 11 of the National Premier League in fifth on seventeen points, just one outside the top four. They have won five, drawn two and lost three. Before their three consecutive losses the side in red were leading the pack and were favourites to finish the season at the top. This outlines just how close the competition is this year, as the top six sides are within nine points, with sixth placed Adamstown on fifteen, and first placed Hamilton on twenty-one. The Eagles sit second on the table after ten rounds, just three points behind leaders Hamilton on twenty one, following a competition equal high seven wins, and three losses. The last time these two heavyweights faced off Broadmeadow handed Edgeworth one of their three losses, cruising past them to a 4-1 win away from home in Round 3. Both of these sides will be aware of the importance of picking up the three points in this weekend’s match. Hypothetically, if Weston beat South Cardiff and Lambton beat Charlestown then a loss puts Edgeworth back down to fourth. It could put Magic four points outside the top four, and possibly in a sixth place ranking if Adamstown beat Hamilton. These two rivals will both leave it all on the pitch on Sunday afternoon as they attempt to put themselves in the best possible position for a solid push for not just the top four, but also for first place. If you cannot make it to Magic Park for kick off, you can watch the game live on Bar TV; this is a match not to be missed. In a match more than worthy of being labeled the Match of the Round, league leaders Hamilton Olympic host Adamstown Rosebud at Darling Street Oval on Sunday afternoon. Hamilton have won seven of their ten matches in 2015, and drawn the remaining three. That gives them a total of twenty-four points, three clear of second (Edgeworth), and seven clear of fifth (Broadmeadow). The Rosebud have won four, drawn three and lost three. They are on fifteen points in sixth, just three outside the top four. Hamilton resume after the FFA Cup break fresh and ready to make a push for first place in the final two months of the competition. They are still undefeated with just eight games left and are in the box seat to finish as Premiers. They will be boosted after their Round 10 win, which saw them defeat rivals Broadmeadow Magic in a brilliant defensive display. They face another huge task this weekend when they challenge the inform Rosebud, who are also undefeated in their last five matches. Adamstown are in great shape in the NPL season. In their first five rounds they picked up just two points, however in the next five games they scored thirteen of a possible fifteen points with four wins and a draw. They had a mixed weekend in the FFA Cup Qualifiers, defeating Valentine 4-0 on Saturday thanks to a Travis Cooper double and goals to Nick Bale and Chris Bale. Just a win away from becoming the third NNSWF club to feature in the FFA Cup Round of 32 they could not get the job done, as they bowed out 3-0 to fellow NPL side Edgeworth. Key defender Garry Kenneth could not play against the Eagles after injuring his hamstring in the win over Valentine, and will miss this weekend’s match. Alex Gillespie, Stuart Musialik, Dom Seerafin and Dayne Pawlik are also unavailable. Adamstown’s newest signing Kim Tae Sung raised many eyebrows in the FFA Cup matches, coming off the bench to dominate the Valentine midfield and defence on Saturday, earning himself a start where he performed brilliantly against the Eagles on Sunday. Tae Sung who signed from Brisbane Premier League 2014 Premiers Wolves FC, and has scored two goals in eleven games for them this year, will not be available for selection this weekend as the club is forced to wait until the Player Points System player movement window opening which occurs on July 6. He will be a major asset for Graham Law’s side, and several weeks of training will benefit both he and the side. There have been a number of top four clashes in recent weeks in the NNSW NPL. This match, however, promises to be one of the best match-ups of the season. Both are in hot form, picking up a combined twenty-eight points from a possible thirty in their last five games. The last time the sides met was back in May when they contested a hard fought 2-2 draw live on Bar TV, with Hamilton’s Kane Goodchild recording a double, and Buds’ Guy Bates also grabbing a brace. This weekend’s match should be just as competitive, with each side desperate to finish the match as a winner. The Newcastle Jets Youth travel to Cooks Square Park this Sunday to challenge Maitland, seeking their first win since May following five losses in a row. The young Jets side have won just three games this year. Along with a draw and six losses they occupy seventh place on ten points. The Magpies are also struggling to string wins together, winning just two games in 2015, drawing one and losing the remaining seven. The side who were promoted after dominating the NEWFM 1st Division in 2014 leapfrogged off the bottom of the table in Round 10 into eighth, after destroying South Cardiff in the second half of their match with four unanswered goals after a poor first half which saw them locked at 0-0. Three games prior they defeated Charlestown 3-0, and in between those two wins they lost by just one goal to Lambton and Hamilton respectively, both 2-1. Since their Round 10 win over South Cardiff the Magpies have announced a new signing, as they welcome attacking midfielder Ryan Clarke to the club. Clarke played for NPL West side Inglewood up until a few weeks ago. He top scored for the club, in 2014 with fifteen goals in twenty matches, falling just one short of Stirling Lions’ David Micevski who was the competition top scorer. Joining Clarke as fresh faces are Anthony Richards, former Magpies and Adamstown head coach, who returns to the club as Reece Thompson’s assistant, and Rob Amborghetti, although the club are still waiting for him to receive an international transfer clearance. Usually Clarke would not be able to be added into the list of players eligible for First Grade under the Player Points System until 6th July, however Thompson is hopeful of this being fast tracked after the club learnt that Justin Broadley will miss the remainder of the season. ‘He saw a specialist this morning (Monday),’ Thompson said. ‘He is a massive loss for our side as he has been the heart and soul of the club for the past twelve years’. Thompson went on to say that he is hoping his side can produce a number of good performances and results in the second half of the season. The Jets have uncharacteristically lost five in a row to shine a negative light on a somewhat positive opening five rounds where they recorded a loss, a draw, then three wins in a row. In some positive news for the side it was confirmed during the week that Youth Team Coach Peter McGuinness would remain in charge for the rest of the season, despite a change of owner and Head Coach at the club. Maitland have won two of their last four and scored in all four matches, drastically improving from the start of the season. This weekend, against a quality Jets side who beat them 4-2 in Round 3, will illustrate whether the Magpies have adapted to the NPL and are ready to give a strong push in the final half of the season, or whether they will be locked in a relegation battle for the remainder of the competition. Charlestown will be desperate to put in a third straight quality performance against a top four side this weekend as they take on Lambton Jaffas at Lisle Carr Oval. The sky blue side defeated Broadmeadow two rounds ago who were fourth at the time, then gave up a 1-0 lead against Edgeworth last round to lose 2-1, despite putting in a challenging effort. They are currently in ninth place on six points following two wins and eight losses this season. A win on Sunday however could see them rise to eighth, just a point off seventh and potentially two wins away from sixth. Their opponents this weekend, the Lambton Jaffas, will be one of their biggest challenges of the season. They are undefeated in their last five matches, and have not lost a match since the 17th May when they were defeated by Edgeworth 2-1 away from home after they led 1-0 following a Jobe Wheelhouse strike. The Jaffas suffered another slow start to the season, sitting in sixth after five rounds, however their fourth place ranking in Round 10 has coach Dave Tanchevski excited. ‘We are playing very well at the moment so we are confident,’ he said. ‘We have been giving goals away against sides so we need to tighten up a bit defensively, and limit our mistakes back there’. ‘We always do well in the second half of the competition so that gives us a lot of confidence. We also have more points than we did last year at this point, and our goal average is better too’. The Jaffas have had their fair share of injury concerns over the last month. Jobe Wheelhouse and Michael Session withdrew the night before their Round 10 win against the Jets Youth. Defender Kevin Davidson went off at injured at half time. Fellow defender Lee Soo-myung has missed the last four matches having not played a game since the side’s 1-1 draw with Hamilton on the 20th May, and Tom Smart has also been battling injury. Tanchevski believes the FFA Cup break could not have come at a better time for his side and believes all of those players should be fit and ready for this weekend’s match. Charlestown on the other hand has several key players unavailable. Defensive pair Damien Cox and Jarrod Dickinson left for a European holiday today, and Scott Smith will most likely be unavailable after copping a two game suspension last round for an incident off the pitch at home to Edgeworth, although the club will appeal and are hoping he can play on Sunday. The last time these two sides met was in Round 3, and the Jaffas won fairly comfortably 3-1. The Blues have played more to their potential in recent weeks, and will be keen to make it two from three against top four sides, and turn that Round 3 score line around in the process. In the final match of Round 11 of the PS4 Northern NSW National Premier League Weston Bears welcome South Cardiff to Rockwell Automation Park. These two sides have had contrasting starts to the season with the Bears enjoying success towards the top of the table, and the Gunners fighting at the bottom. The Bears won in the most recent match between these two teams, a rescheduled Round 3 match at Ulinga Oval. Despite South Cardiff taking the lead and the Bears going down to ten men it was the away side who took home the three points with a 2-1 win. Weston are currently on track to surpass their 2014 performance. After ten rounds they are on nineteen points following six wins, a draw and three losses. At the same point in the competition last year they were four points short of their current total after four wins, three draws and three losses. The Gunners have won just one game, had two draws and lost seven to make up their five points, and they are currently in tenth place. Whilst Weston look set to make a play for the top spot based on 2014 stats, South Cardiff face a different challenge. This time last year Lake Macquarie were also on five points after two wins a draw and seven losses and had conceded seven less than the Gunners. They went on to be relegated, which will be a huge concern for the Gunners side at present. They have been plagued by injury this season, and that will continue into Round 11, however they are boosted by the return of centre back Matt Darr who adds a great deal of composure and strength to the side. The Bears will find out on Friday night if Jason Cowburn and James Monie will be available for the weekend’s match due their usual work commitments, but will definitely be without Jamie Subat, Rob Macbeth and Paul Clout due to what coach Trevor Morris described as ‘frustrating suspensions’. The Bears are currently injury free which is a bonus for the side. In recent weeks, most notably in the Round 7 Match of the Round against Edgeworth, the Gunners’ biggest problem was their inability to take their chances. In their 4-0 loss to Maitland they missed several goal scoring chances with the score at 0-0 which could have changed the game. This weekend they are going up against one of the strongest and most organized back lines in the competition, so opportunities will not come easy, therefore they must take their chances if they are to get anything out of the match. This match should be a tough battle between two sides that need a win for two completely different reasons, and is a great contest to conclude Round 11 of the PS4 NNSW National Premier League.